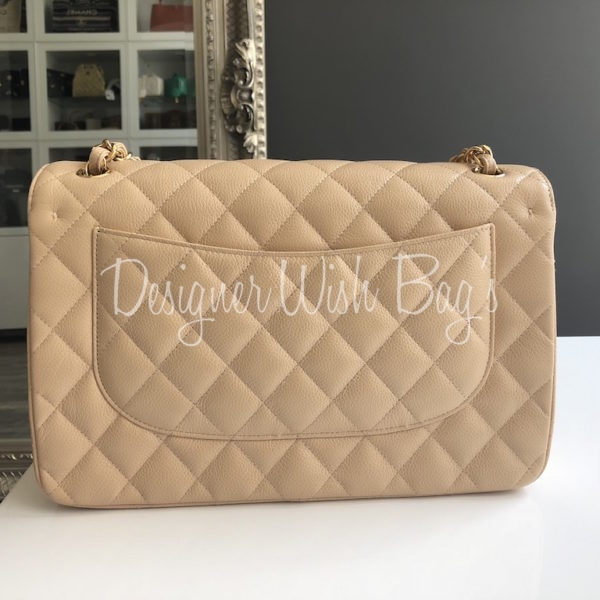 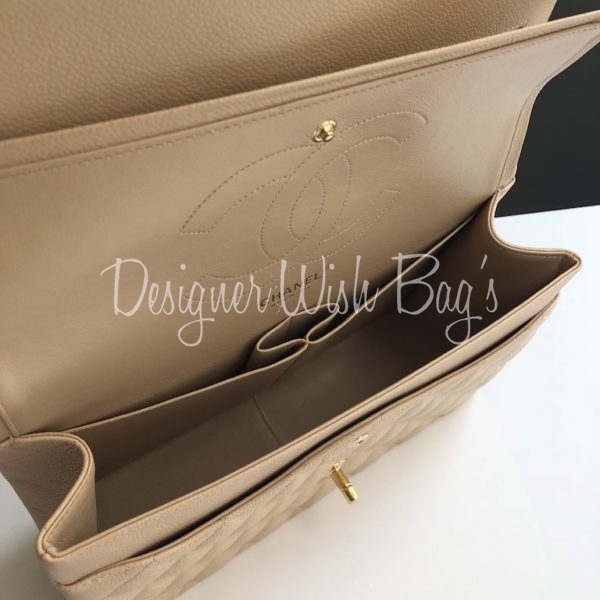 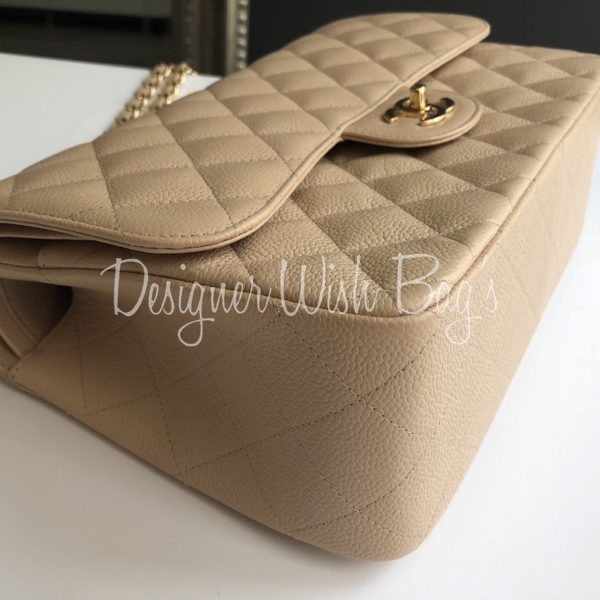 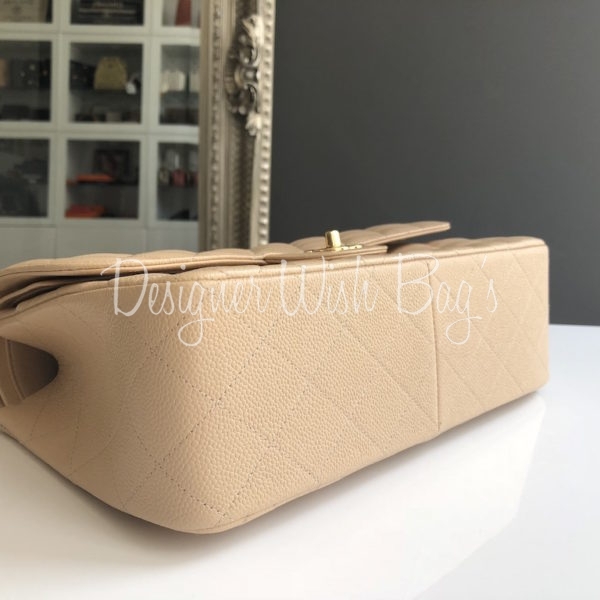 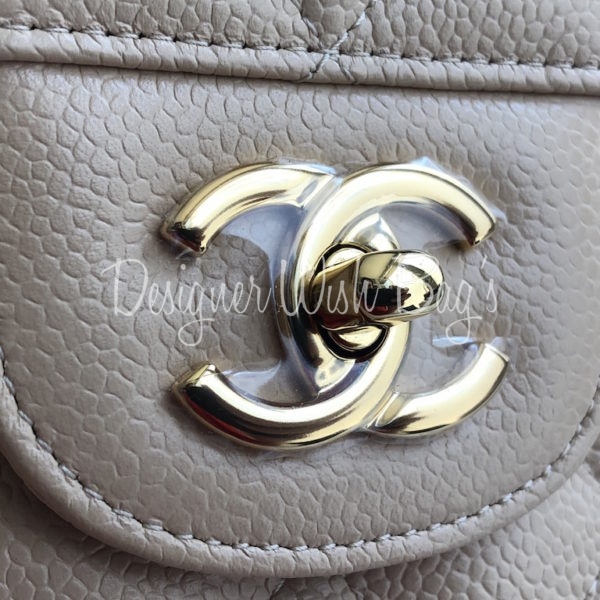 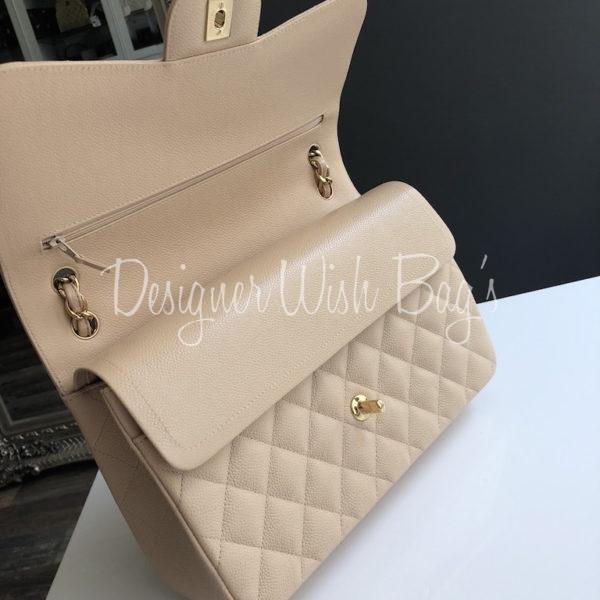 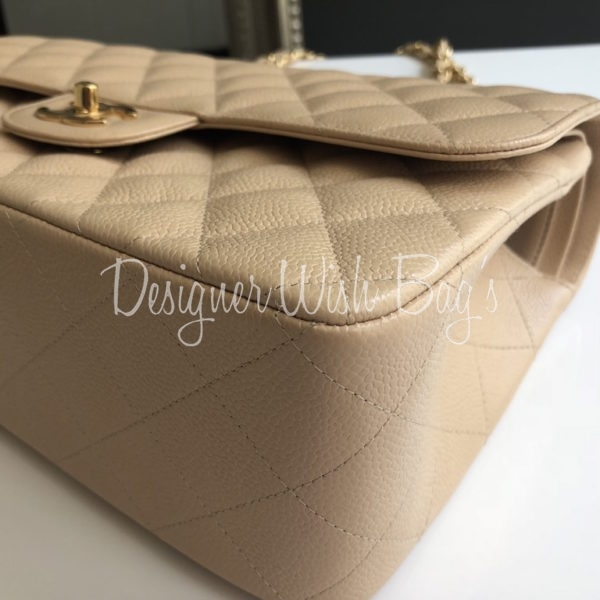 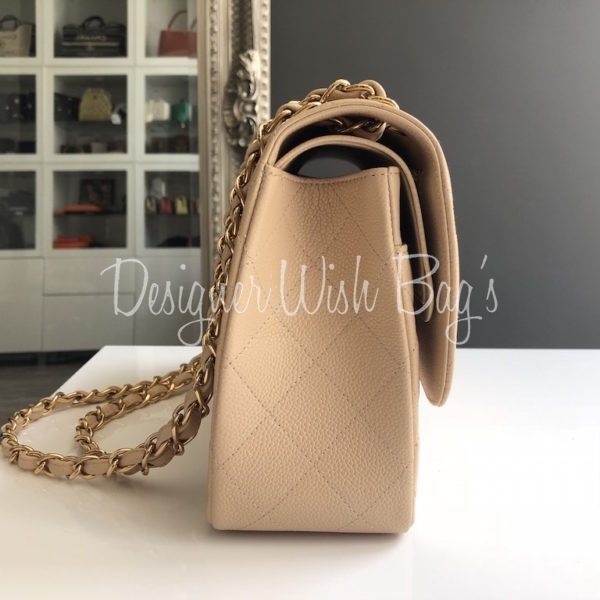 Beige Caviar leather with gold hardware. 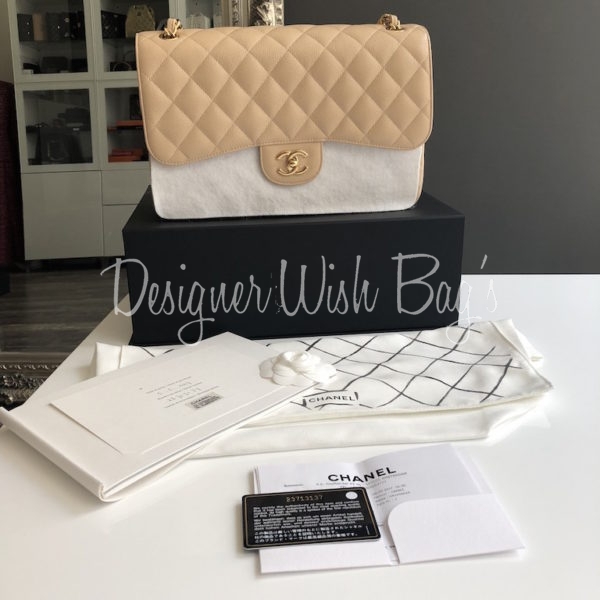 Brand New!! 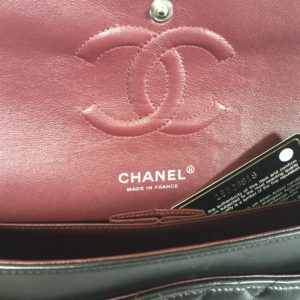 Never Worn, still with plastic adhesive on the hardware. 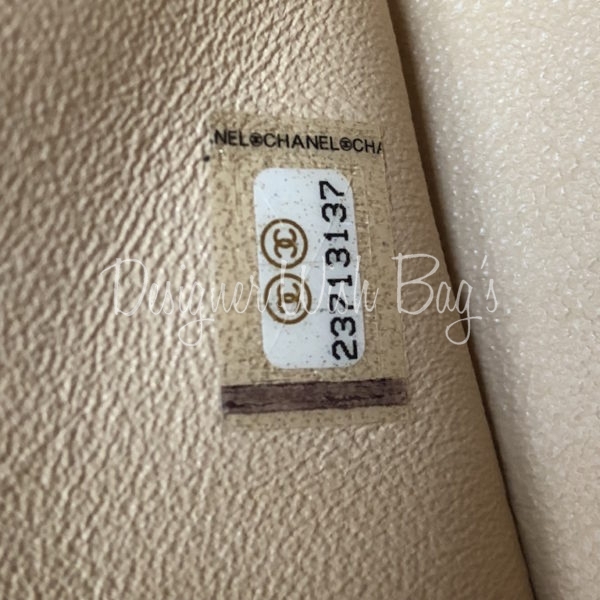 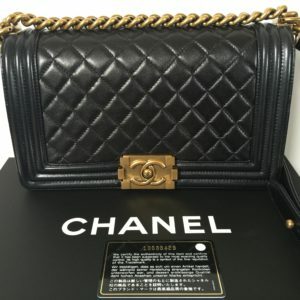 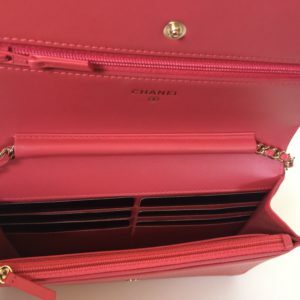 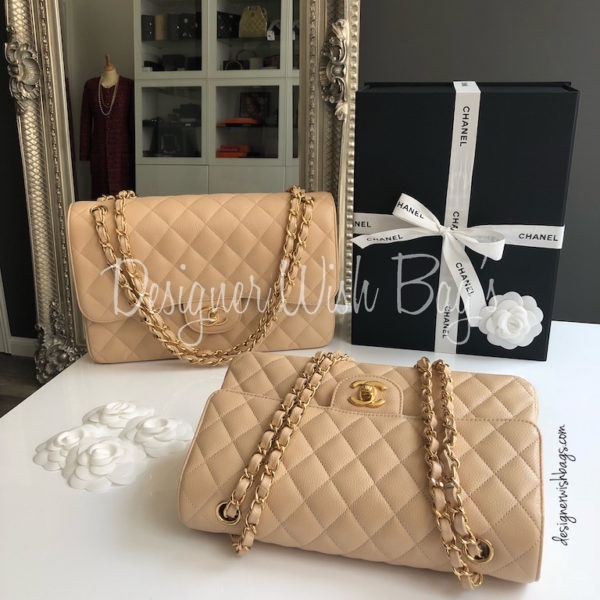 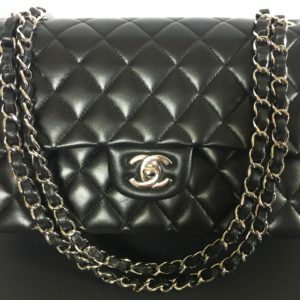 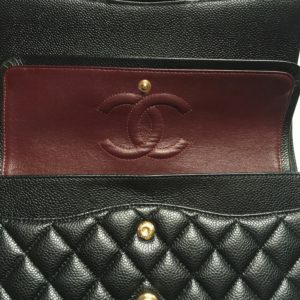 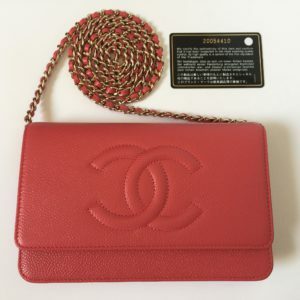 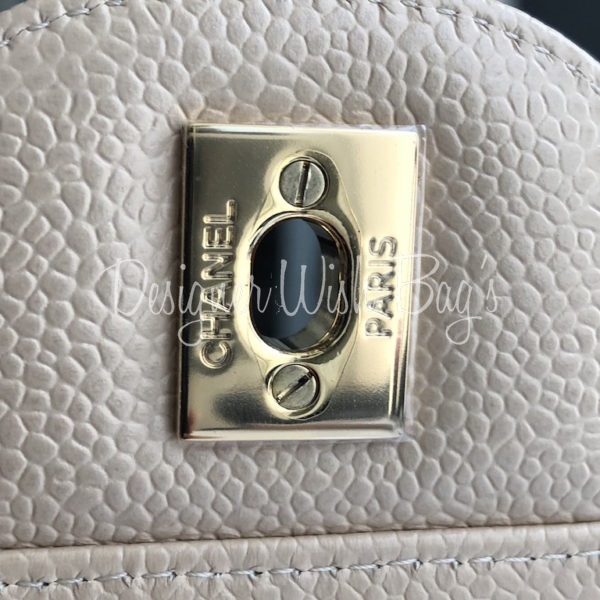 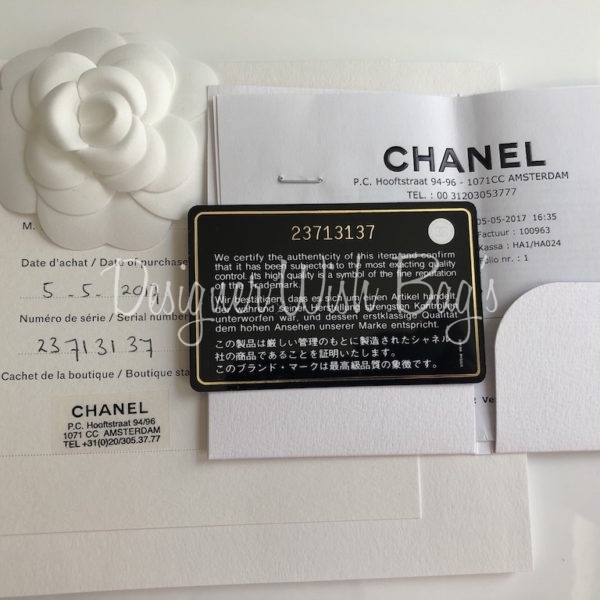 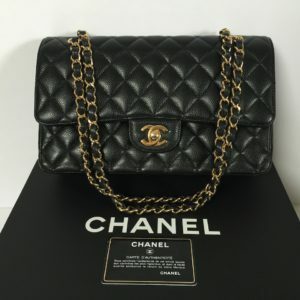 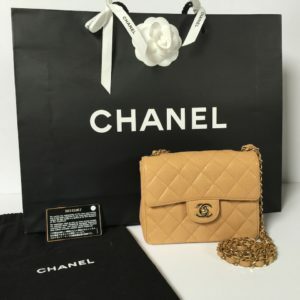 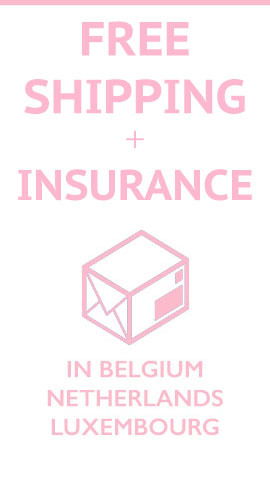 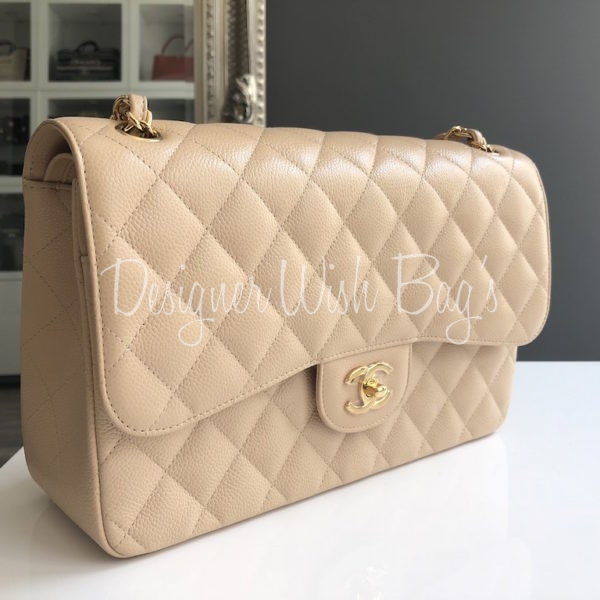 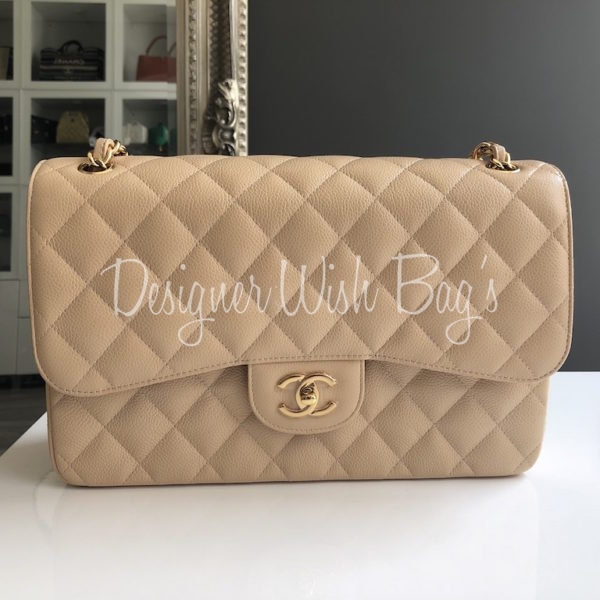 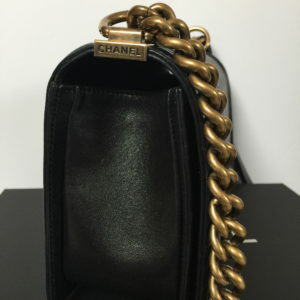 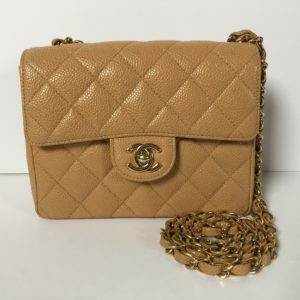 Will be delivered with full Chanel set; Box, dust bag, authenticity card, booklet, care glove and original Chanel receipt.